Prestige Pawn & Jewelry Buys Direct From You! Including gold, silver and diamond rings, necklaces, bracelets, earrings, watches, dental, broken gold and gemstonesPrestige Pawn & Jewelry specializes in diamonds. Our staff has graduated from GIA (Gemological Institute of America) in diamonds, diamond grading and gemstones. We are also interested in rubies, sapphires, and emeralds. Our selection of fine jewelry is vast. Check our frequently asked questions page here, or call now 352-515-0064 for more information. At Prestige Pawn & Jewelry, we provide pawn loans on many types of vehicles, including cars, trucks, RVs, vans, motorcycles, and boats. You’ll get cash right away and leave your vehicle with us as collateral. 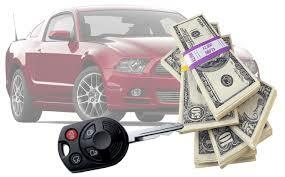 Your vehicle will be safely stored in our facility until your pawn loan is paid and you pick it up. We offer extensions and renewals for greater flexibility.